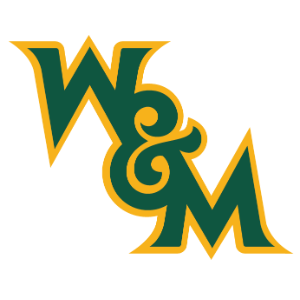 William & Mary football coach Mike London has added a pair of UVA alums, Keenan Carter and Matt Johns, to his coaching staff. Carter will coach the Tribe’s defensive line after leading the position group for London at Howard University during the past two seasons. Prior to his stint at Howard, Carter coached the defensive line at Bridgewater College for two seasons (2015-16). During his tenure at BC, Carter helped four players garner all-conference accolades. Before joining the collegiate coaching ranks, Carter spent three seasons at Potomac High School (2012-14), the final two of which he served as defensive coordinator. During his final season, his unit did not allow a 100-yard rusher. A two-year starter at nose guard at UVA, Carter graduated from UVA with a degree in sociology and went on to play with several NFL teams. Johns, a former starting quarterback at UVA, joins the Tribe’s staff after serving as a graduate assistant working with the Cavaliers’ defense last season. En route to helping Virginia post an 8-5 record, which included a shutout victory against South Carolina in the Belk Bowl, UVA’s defense produced three All-Atlantic Coast Conference selections. Additionally, the Cavaliers ranked 11th nationally in interceptions (17), 16th in passing yards allowed per game (183.0) and 21st in scoring defense (20.1). Prior to joining the Cavaliers’ staff, Johns served as the quarterbacks coach at Central Bucks South High School in 2017. A four-year letterwinner at Virginia, Johns finished his career ranked 11th on the program’s career passing list (4,233) and sixth in passing touchdowns (30) and 200-yard passing games (11). Johns started all 12 games in 2015 and finished the regular season No. 3 in the ACC with 2,810 passing yards, which ranks fourth on UVA’s all-time single-season list. Johns, a native of Chalfont, Pa., earned a bachelor’s degree in economics (2016) and a master’s degree in higher education (2017) from Virginia.